Can I Bring My Own Adult Beverage in the Limo? Limousines are great for almost any occasion. Weddings, anniversaries, business, sporting events, prom, the examples go on and on. With San Antonio Top Limo, those experiences can be made even better. With our extensive fleet of vehicles, professional drivers and VIP treatment, you’ll be getting one of the best limo experiences in San Antonio. Wine tasting tours are also a very popular option when renting a limousine. Hill country views and some of the best wine in Texas makes a very special treat for you and your friends. With our extensive fleet, you can take your pick from one of our luxury Chrysler 300 sedans, stretched classic Lincoln sedans, Escalade SUV limos, or Hummer limos. Our Hummer limos are definitely the most popular when it comes to wine tasting events however. With their spacious interior, they can hold a lot more than just 14 passengers. With 14 passengers, it also has enough room for a surround sound speaker system, flat screen TV, wet bar, and LED lighting. Not to mention the luxurious plush leather seats as well. With our Hummer limos, you get all the luxury you want in a spacious, tough looking vehicle. Wine tasting tours can take you all around the hill country. With all kinds of different wineries in the Texas area, there are almost too many choices. Tell us where you want to go, and we can get you there. A popular question among our customers is whether or not they can bring their own adult beverages on board. The answer is a yes. If you’re not heading to go taste wine in the hill country, you are more than welcome to bring your own fantastic drinks onto our limousines. We can provide the glasses for you, so you can bring whatever drink you like. Whatever event you’re heading to, whether it be a sports event, dinner, business, or others, drinks are always allowed. Treat your potential business customer with a fine adult beverage during your ride, or have a refreshing drink on the way to the big sports game. And once you get there, you can leave your drink inside our cooler to make sure it stays cold and fresh for when you return. 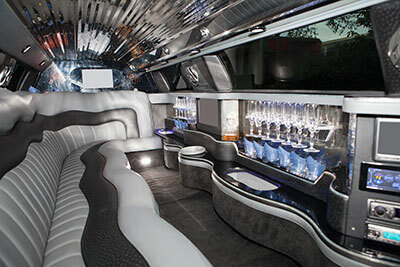 ​San Antonio Top Limo is your limo service for the best limousine experience in San Antonio. With our highly competitive prices, VIP treatment, and professional drivers, your limo experience will only be the best when you rent from us. Give us a call today, and we can set you up with the limo of your choice. Just let us know when and where to pick you up, and we will be there on time to get you. Our drivers will safely drive you to your destination and treat you like a VIP the whole way there. You won’t have to worry about parking either, because our drivers will drop you off at the front entrance. Let San Antonio Top Limo be your limousine service for any event in San Antonio.